FORMER LABOUR PARTY Senator Máiría Cahill has joined the SDLP and has been co-opted as a councillor in Lisburn and Castlereagh. The Belfast woman announced the move on Twitter and confirmed that she will remain a member of the Labour party. She said she is looking forward to representing “people from all traditions and none” in local politics. Cahill replaces former councillor Christine Robb who recently stepped down. She will represent the Killultagh District Electoral Area. A victim of abuse in the republican movement Cahill has been an outspoken critic of Sinn Féin. In 2010 she alleged that she was raped by an IRA member when she was 16-years-old. She claimed that the IRA made her confront her abuser and forced her into silence. Cahill joined the Labour party in October 2015 and was elected to the Seanad in a by-election a month later. She did run for re-election in 2016. She was also once a member of Republican Network for Unity (RNU), which is opposed to the Good Friday Agreement. She later expressed regret about her involvement in the organisation, saying it was “the wrong thing to do”. SDLP Leader Colum Eastwood said he is delighted that Cahill has decided to make the party her political home. “Máiría Cahill has an extremely strong record of speaking out against injustice, maltreatment and inequality; we are confident that her attributes are best placed to compliment the values and vision of the SDLP, and we are delighted she has decided to make the SDLP her political home,” he said. Politics is too often sadly missing brave voices to call out right from wrong. The SDLP has always taken uncomfortable steps to deliver a fair and just society, and I am confident Máiría will play a prolific part in continuing to practice the politics others merely preach, by speaking truth to power. Email “Máiría Cahill is now a councillor for the SDLP”. 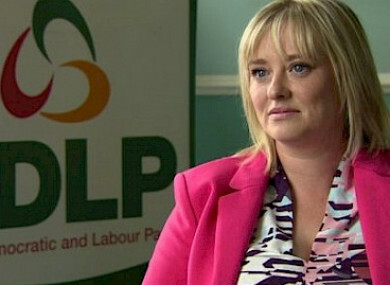 Feedback on “Máiría Cahill is now a councillor for the SDLP”.